The sand ceremony is a beautiful uniting ritual for either a naming or wedding ceremonies. At a wedding, we can have only the bride and groom participating in this ritual. Or you might want to include other family members. 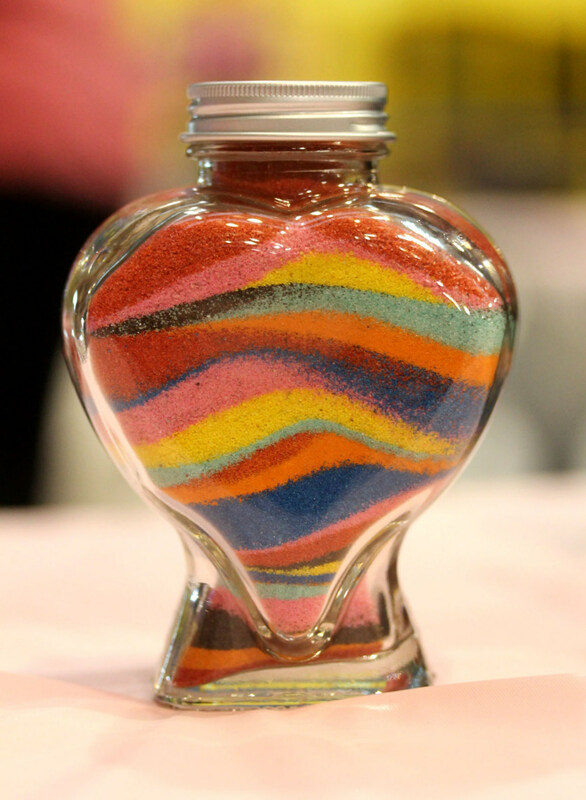 The couple then pours sand into the one main jar symbolizing the unity in their life together. 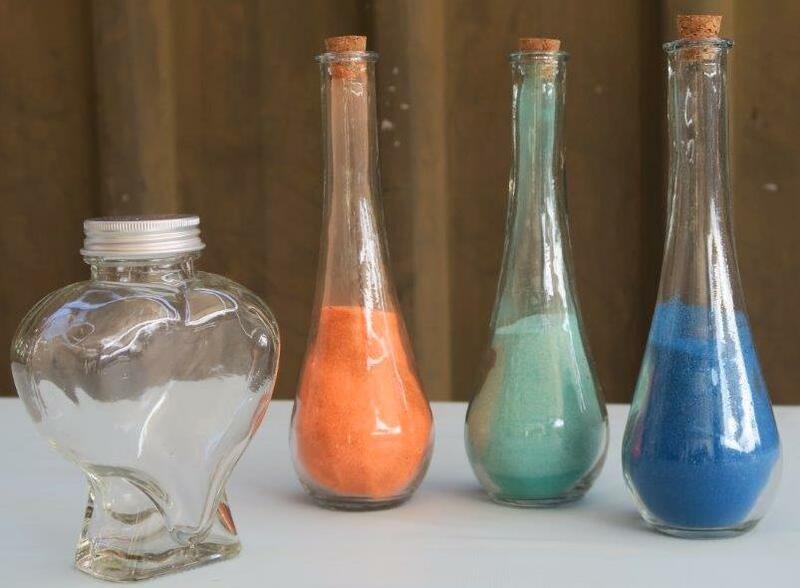 Just as we can not pour the grains of sand back into the individual bottles. So is the couples’ lives, now joined together. 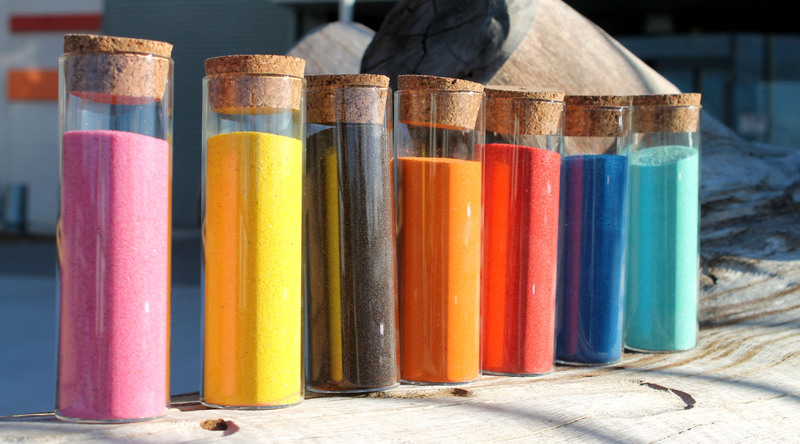 It creates a treasured keepsake Unity Vase filled with sand in different colours. 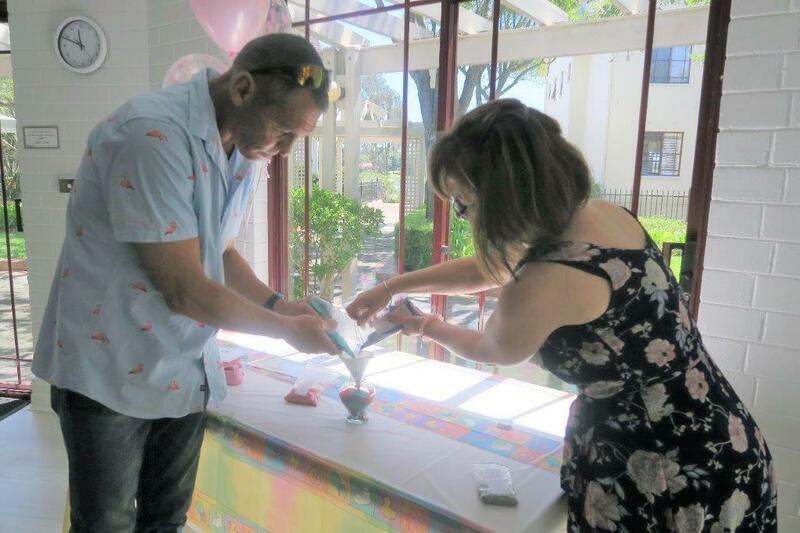 The sand ceremony for baby naming is a very unique and special ritual. 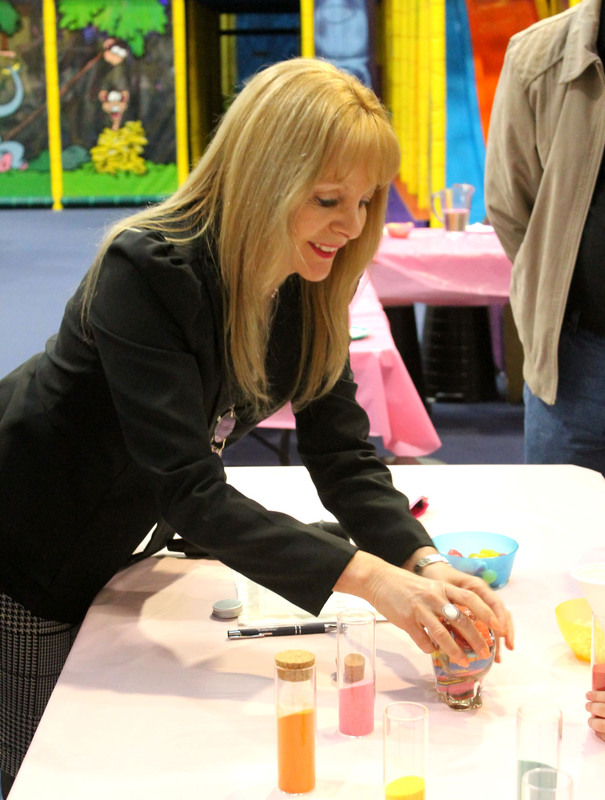 At a naming ceremony, we can include children and other members of your family (or blended family). The Sand Unity Ceremony is also perfect for when children also take part in the ceremony. Children are especially drawn to pouring the sand. This ritual symbolizes the loving union in the family of a newborn with their new Mom and Dad. It is a fun, very symbolic ritual for everyone. 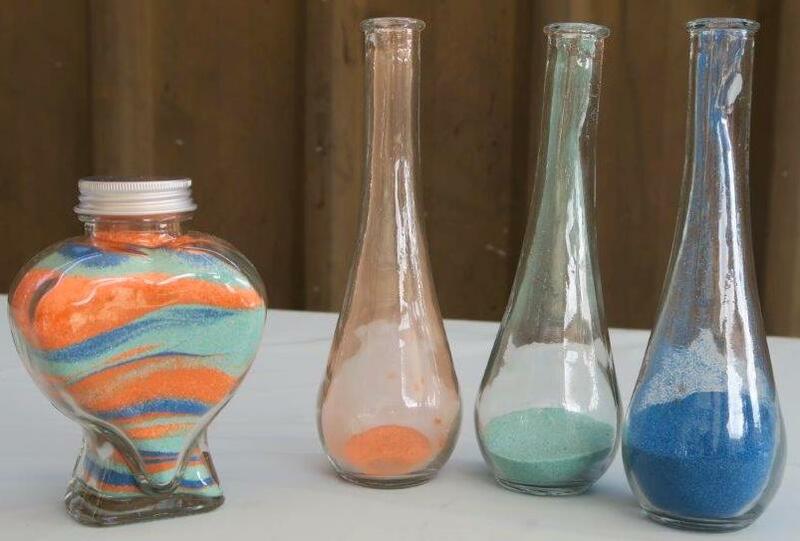 You can include as many colours of sand as you want. Each colour stands for different characteristics and aspirations. Family members can also recite special vows as part of the ceremony. Otherwise, the celebrant explains the significance of each colour and the symbolism of this ritual. Contact me for details on how we can include this beautiful meaningful ritual in your ceremony.